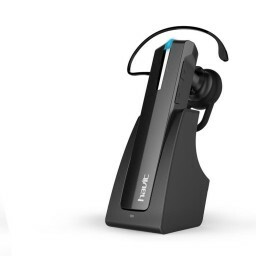 This Bluetooth RV4.0+A2DP Headset contains Clear Voice Capture (CVC 4.0) CSR's own echo cancellation for enhancing the audio quality of wireless products. The dock is specially designed to mount on the air vent so that you can charge the Bluetooth headset while you are driving. The magnetic charging dock automatically triggers Sleep/Wake modes to make the most of the battery's 7-8 hour play time without disconnecting from pairing - pair once and that's it. Pick up to answer calls, put down to end them. Minimized operations allow you to focus on more important things. Hands-Free chatting is possible with the voice dialing feature, helping you to drive safer while talking on the phone. 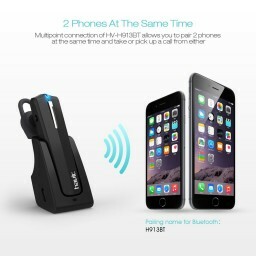 Multipoint connection of HV-H913BT allows you to pair 2 phones at the same time and take or pick up a call from either. 7 to 8 hours of Talking/ Music Playing time and about 2000 hours of standby time with a single charge. 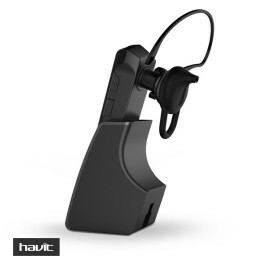 Havit is promoting their Bluetooth 4.0 Stereo Headset With Charging Dock. Visit product page https://www.giveawayservice.com/p/c0b0d9f1/d3b5e4b2b1 and find out more. #bluetoothheadset I like this Bluetooth and I get that you can connect it to your car. But i do not like that it did not come with a regular plug to plug into the wall. I had to use my own plug that connected with their cord to charge the earpiece while in my home. Other than that it is a nice set. 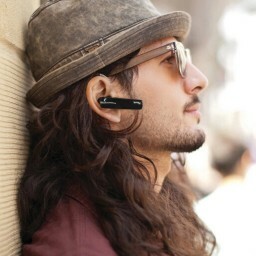 #bluetoothheadset This is a cool headset. Only thing I didn't like was there was no wall plug. #bluetoothheadset #havit #ilovetechnology Great little bluetooth and it has a cute little charging deck to! This ‪#‎bluetoothheadset‬ pairs quickly and easily with my phone. This headset takes about 3 hours to charge. I used it everyday for about 3.5 hours a day and it lasted one week without having to charge it again. It looks very well made with quality materials. The bud that goes into the ear is comfortable and fits nicely. The sound quality is good and it cancels sound out well. The music sounds clear and the bass sounds good too. I also love the look of it, it has an elegant sleek look to it. You can get it here: http://amzn.to/1Vzhu1t I did receive this product discounted or free of charge in exchange for a review, however all opinions are 100% honest based on my own experience. "Say you'll remember me, standing in a nice dress, staring at the sunset, Baaabe"
My new #Havit #bluetoothheadset - great for all my activities! Enjoying my new #bluetoothheadset by #havit great sound quality and very light weight. #bluetoothheadset Only thing i did not like is that it did not come with a wall plug in. I had the opportunity to review the HAVIT HV-H913BT Bluetooth 4.0 Stero Headset with Charging Dock! #bluetoothheadset at a Deep discount in exchange for a fair honest review. This headset is clear and lasts a lot of hours. Usually I have to turn the headsets volume all the way up in order to clearly hear from it. This headset is light weight yet appears to be durable. ❤️❤️❤️❤️ Best Feature: The charging dock!